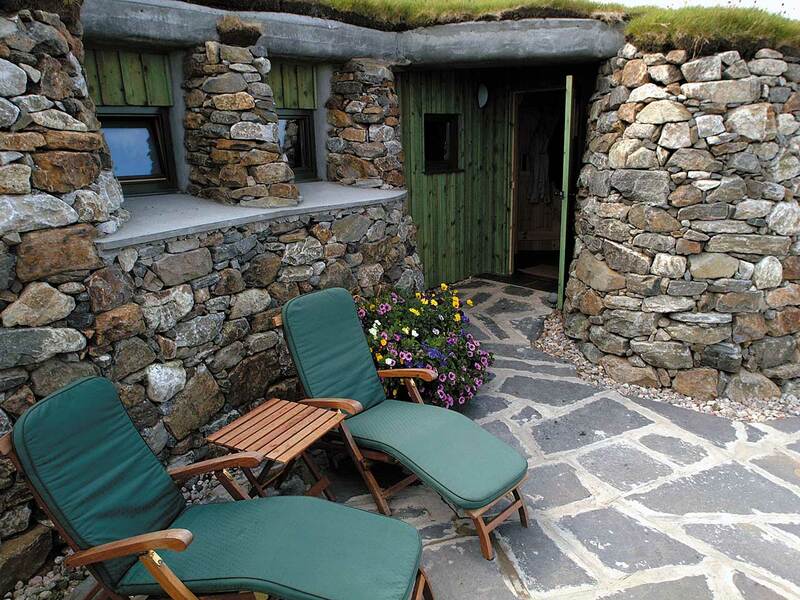 The cottages are unique in their design as they are turf roofed and aesthetically blend into the hillside. 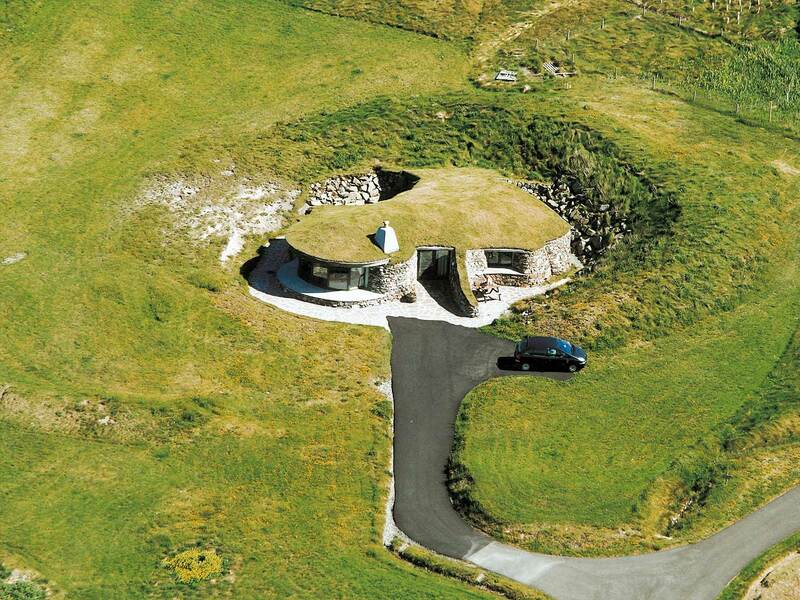 The idea is based on Neolithic housing, which was situated underground. 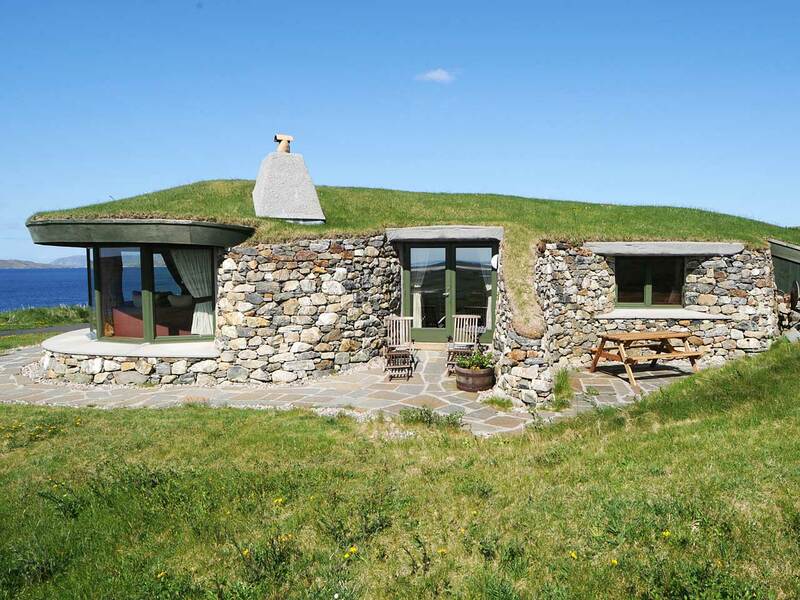 This idea, along with a touch of traditional Hebridean building techniques, has resulted in a unique design with exclusive features. The cottages were the inspiration of local, award winning, architect Stuart Bagshaw. “Blue Reef Cottages was the first of what we now affectionately refer to as our ‘Hobbit Houses’. 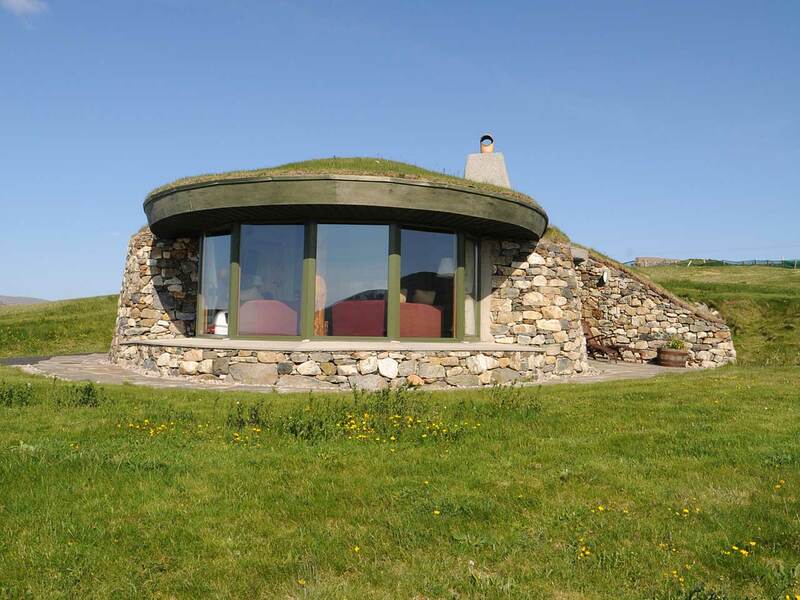 Situated above the long sands of Scarista the concept behind this project was to lift the turf on the hill and slip a home underneath it. Retreating back into the hill it shelters itself from the prevailing Atlantic wind. Inside is an open plan living space which is dominated by the large curved window exploiting views across the beach to the horizon of the North Atlantic Ocean. Utilising local natural materials of stone and turf this house appears to grow out of the landscape.” Sba architects 2002. The area surrounding the cottages is ‘machair land’ which is sandy soil with a carpet of wild flowers during the spring and summer months. Our two self catering, five star luxury cottages, are set in the beautiful remote village of Scarista, on the Island of Harris in the Outer Hebrides.